London-based advertising and fine art photographer Todd Antony has a way of captivating the viewer no matter the subject. From the ethereal beauty of nature and the dream-like desolation of urban landscapes, to the evocative power of intimate portraits and the cinematic charm of cast ensembles, Antony envelops his subjects in an aura of magic realism. 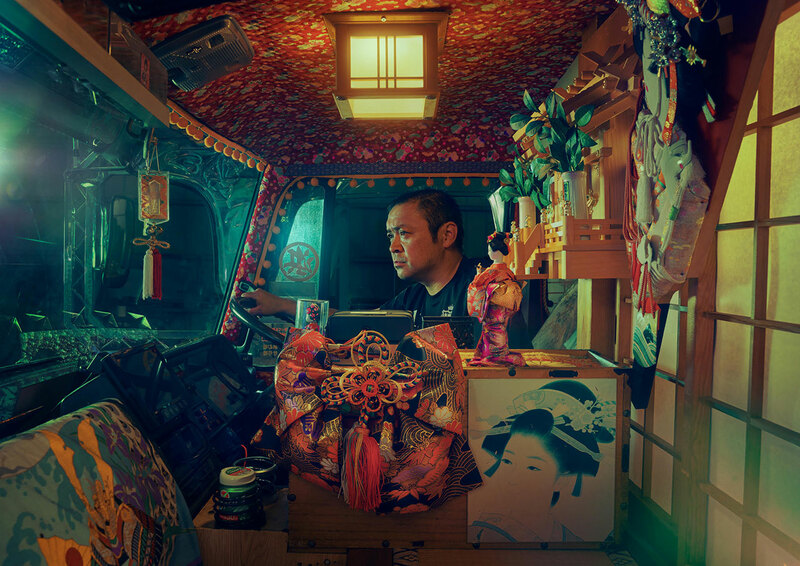 To this long list of eclectic subjects, we now can add extravagantly decorated Japanese trucks, which Antony’s latest photographic series lyrically documents. 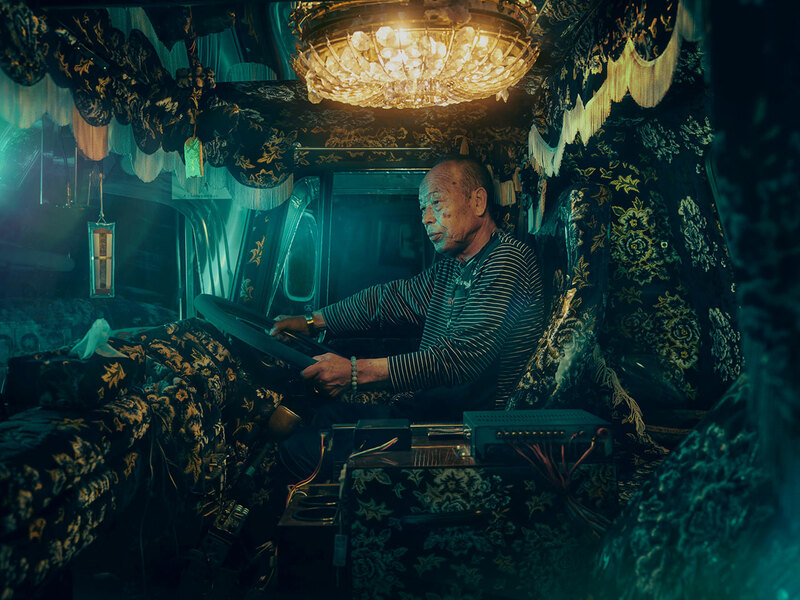 Called “Dekotora”, the Japanese truck drivers' practice of lavishly decorating their vehicles with colourful LED lights, exuberant patterned fabrics and other over-the-top ornamental knick-knacks has been around for about forty years. 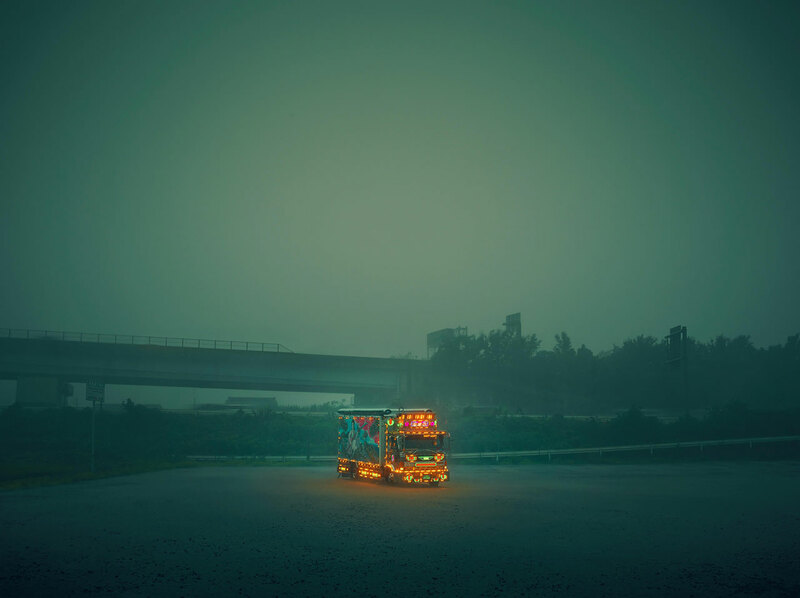 It all started in 1975 with Torakku Yarō or “Truck Rascals”, an extremely popular Japanese movie about a trucker driving his garishly decorated truck around Japan. The success of the movie spawned several sequels and motivated drivers to elaborately decorate their vehicles hoping to be cast in upcoming films. The practice eventually spawned its own subculture with elaborate designs that sometimes cost over $100,000, and even an Association of Dekotora drivers which is active in charity initiatives. Antony has always been fascinated by the different subcultures around the world, which he believes reveal more about a country than the mainstream images do, so in recent years he has undertaken to document them in a series of personal projects of which Dekotora is the latest. Straddling fine art and documentary, the pictures of these projects are both meticulously stylized and brutally honest. For Antony, colour is crucial for garnering emotions, the second most important factor after the emotional content of the image as he says, which proved to be the case even more so for this bright, colourful and vivacious subject matter. Using a digital camera that captures colour as close to the human eye as possible and staging the photo-shoots against desolate, dimly lit backdrops, the illuminated trucks in Antony’s images loom bright like some kind of kaleidoscopic fantasia. Observing the photos more closely, especially those of the trucks’ interiors, you are struck by how much detailing Antony has managed to capture. From the tassels of the flamboyant draping to the skin pores of the nonchalant drivers, the photos are packed with visual minutiae. Interestingly, the trucks’ overwhelming panache appears inversely proportional to the drivers’ disposition, perhaps a reminder that all that glitters is not gold.